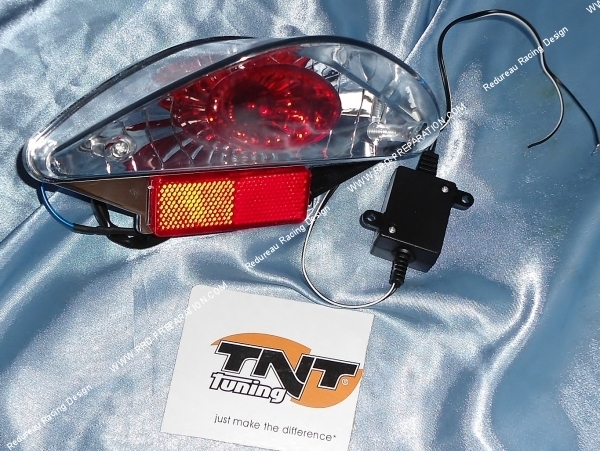 A superb taillight LEXUS TNT TUNING with integrated neon blue! 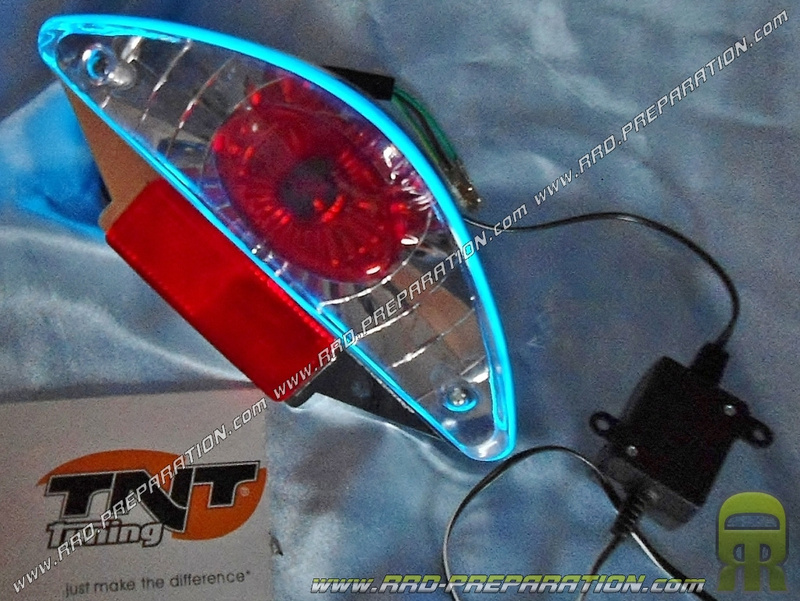 Here is a rear fire standard bulb + blue neon for MBK NITRO, YAMAHA AEROX, MBK MAGNUM RACING 2 LEXUS ... This type of fire has a very nice look for a really affordable price. It has more of a neon blue circle (you do not have to plug in). Chrome interior, smooth glass and red bulb globe with round chrome LEXUS way. Fire with fire stop but no license plate illumination. This fire is assembled on MBK NITRO and moped MAGNUM RACING 2 / YAMAHA AEROX.